Sometimes I forget for a moment that I get to try out beauty products for a living. I’m just going about my day, using 5 different lip glosses so that I can compare and contrast them and write about it, and I forget to take a moment and realize how AWESOME that is. How, as a kid, that was a dream job I couldn’t even fathom existed. Why am I bragging about how I get paid to write about natural beauty products? Because it is one of my [many] New Year’s Resolutions — many, because I am a flawed work-in-progress like everyone, ever-reaching for new levels of accomplishment and realness and kindness — is to be present. To appreciate what I have/am/do before — and while — reaching for more. To cherish the now, because the future is uncertain. To say “thank you” before “more, please” and mean it. 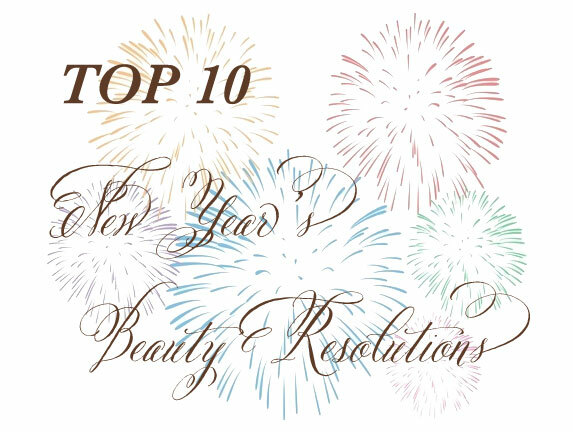 I also have a ton of simply beauty-based resolutions. It’s never too late for New Year’s resolutions, even though it’s late January. We are still in the first month of this brand-new year, and even months from now, if you come back and read this in May, every day is a new chance to try and do something better, to start fresh, to reach higher. Here are some of my beauty resolutions. I hope they may inspire you to do better, to try new things, and, most importantly, to celebrate the here-and-now and all the good things you currently have. These are 10 ways to embrace a healthier YOU this year by making small changes in your beauty routine, and they’re full of recommendations of products that came out in the past year! so you get to try new things while keeping your beauty resolutions, which is really a two-fer! Of course, I mean that spiritually and emotionally, but can we also admit that eyebrow and eyelash growth is pretty damn cool, too? I thought so. I am obsessed with Plume — their serum has been a game changer for my once-sad brows, and now I’m really, really loving their new pomade. 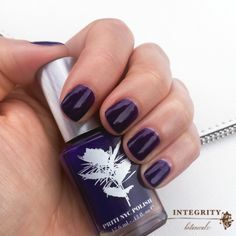 It has the same growth-enhancing magic the serum does, plus rich yet realistic pigment, and the perfect amount of hold. And the brush/spoolie it comes with is the best. 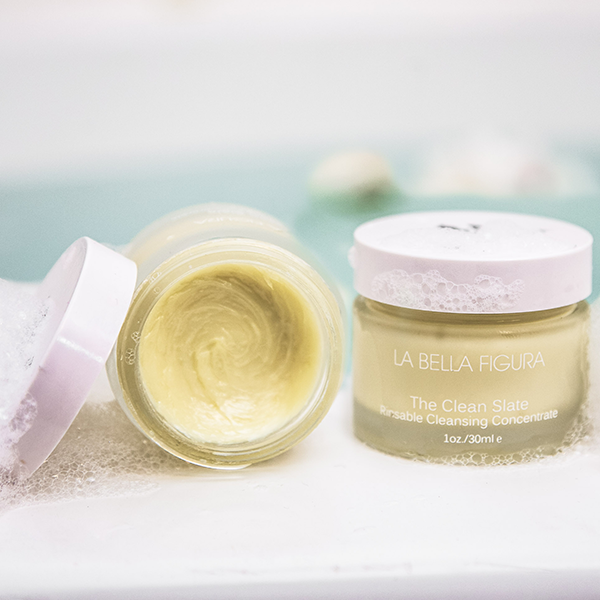 Instead of feeling like washing your face is a chore, use products that feel like a luxurious treat: New to the scene is The Clean Slate from La Bella Figura, which is like a little miracle to me every single time I use it. It’s this beautiful mystery to me— it’s moisturizing and a little foamy; it’s almost solid but softens to a cream as you rub it in; it takes away my mascara without making my eyes hurt. Plus, it forces me to massage my own face, which I really love. 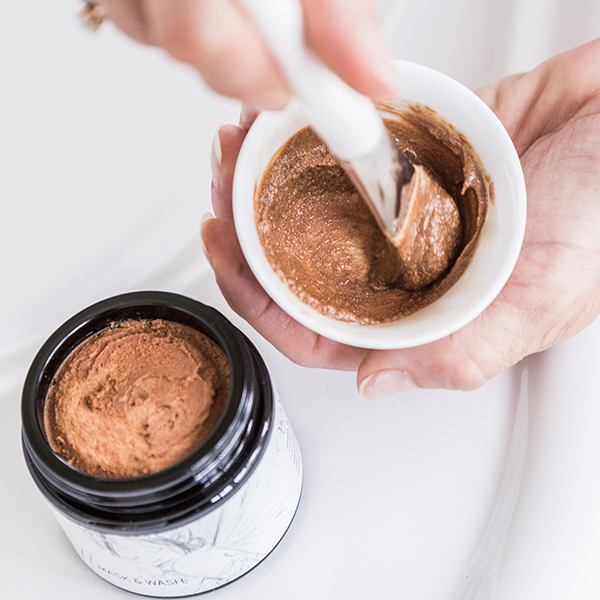 Instead of just scrubbing my face as I would with a soap or cleanser, this balmy-creamy-putty requires me to really rub it in, which feels like a treat. And then it just rinses right off— completely amazing! 3. Get something with beautiful packaging, which will make you smile every time you use it. 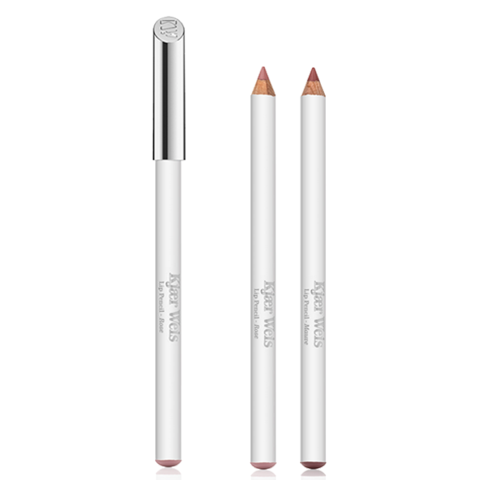 I reach for Kjaer Weis’ new eye and lip pencils with so much joy because of the gorgeous, silver cap. It’s reusable, which scores major points with me, and the pencils themselves are amazing, too. Also, FitGlow Beauty’s new Lip Colour Serums are so elegant, both the packaging and the content, which keeps me reaching for them and showing off the cute tubes when I’m out and about. 4. Do good while you look good. 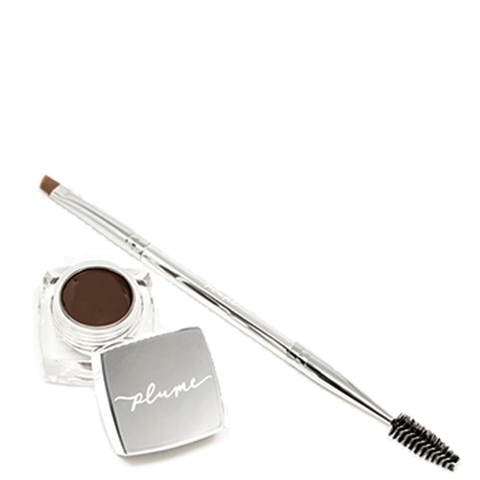 Buy products that support women and causes you believe in. 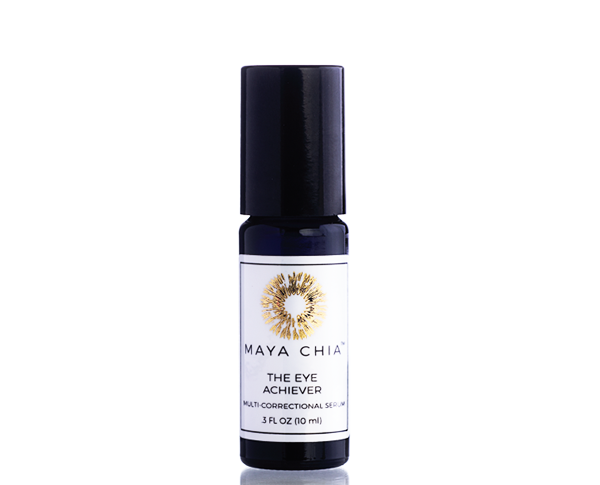 Maya Chia is one of my favorite philanthropic brands. Not only are the products top-notch and good-smelling and effective (my three priorities, let’s be real! 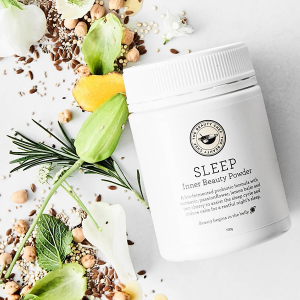 ), but founder Susanne Norwitz gives a portion of proceeds to organizations that support the education and life-enrichment of the Mayan people from the region where the brand’s super-star ingredient, Chia seed oil, comes from. 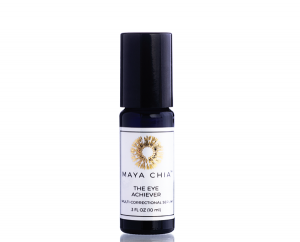 Their new eye serum that launched in 2017 is absolutely amazing. It’s a little powerhouse rollerball of heaven, and I guarantee that once you use it, you’ll wake up noticing a difference. 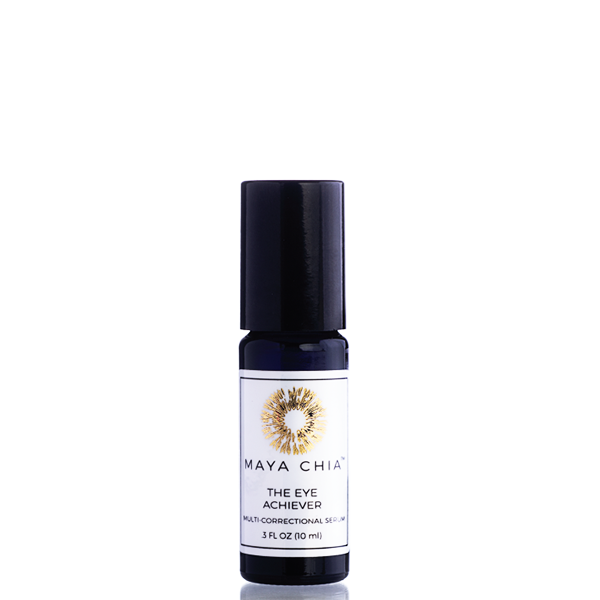 My eyes are just brighter, clearer, and smoother since I brought The Eye Achiever into my routine. 5. Go for natural scents. Some people say fragrance is the new second hand smoke. Make choices that are healthy for your body and spirit. Some of my favorite-smelling brands include In Fiore, Laurel Whole Plant Organics, One Love Organics, and Leahlani Skincare (coming to Integrity Botanicals next month!!). 6. Remember beauty is an inside job. I’m newly obsessed with The Beauty Chef, specifically their Glow Advanced Inner Beauty Powder and Sleep Inner Beauty Powder. It’s pretty easy to ingest them, they taste great, and I see results. I don’t know why I resisted vitamins and supplements for so many years– it’s kind of a “why the heck not?” situation. There’s no downside, and these are made from a unique bio-fermentation process called Flora Culture™, using a unique mother culture backed by 20 years of research, that supercharges ingredients in The Beauty Chef’s Inner Beauty products to encourage the proliferation of good gut bacteria and, as a result, good skin health. 7. Try something bold and different. I’m personally loving Priti NYC’s nail polish in Guinea Rose right now. 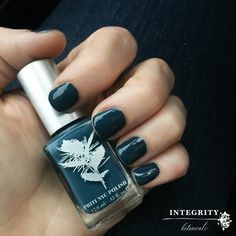 It’s different for me because I don’t usually do shimmer in my nail polish, but this one is subtle and sophisticated and irresistible. Also on my different-and-loving-it list is Antonym’s Cheek Crush. It’s a lighter shade than I usually go for in blush, but the soft, glowy gold highlight makes it really warm and versatile. 8. 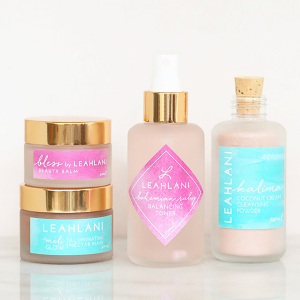 Choose more mindful beauty products — things that really bring you joy, and improve your energy. 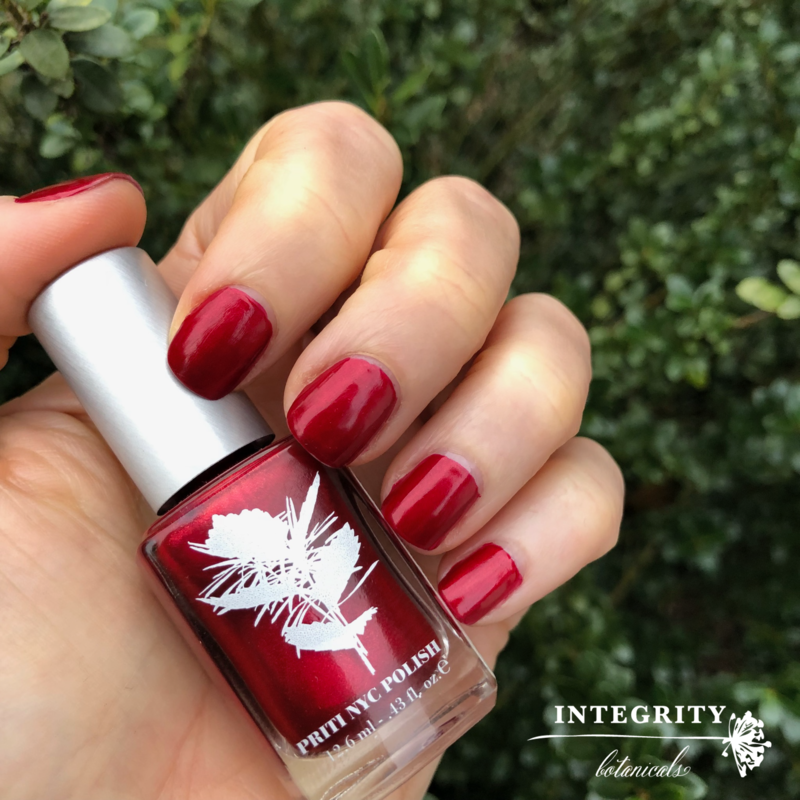 2017 brought together two of my favorite companies/people: Max and Me and Integrity Botanicals. Max and Me is the master of mindful beauty. 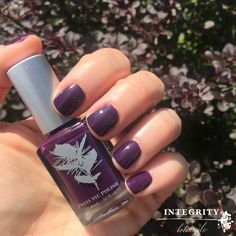 Their oils and balms are made to be meditative and spiritual, while also truly bringing your skin the best nutrients, ingredients, and results. Read more about makes Max and Me products so unique here. Amly’s new Silver Rich Facial Mist in Beauty Sleep is also a perfect example of mindful beauty. It combines skincare and aromatherapy to help you achieve more restful sleep, which is great for your skin. Add the silver, snow algae, passion flower, and many other active ingredients, and you have a product that works for you on so many levels. 9. Choose beauty products that are good for the earth. Captain Blankenship’s new Mer-Mane Shampoo and Conditioner are a luxe, fun way to make this goal a reality. In addition to smelling great, they work great, and the brand is committed to making a positive environmental impact. 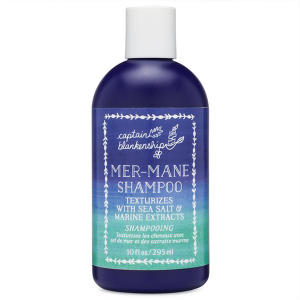 Their new haircare and liquid soaps are packaged in 100% recycled harvested ocean plastic. Vapour Organic Beauty is one of my all-time favorite brands, and their use of solar- and wind-power in their lab is just one of many things I love about them. Their Deva Collection is a great place to start if you haven’t tried Vapour before, because it contains two fantastic products at a great price; their brand-new Velvet lipgloss in Deva (a universally flattering mauve) and Aura Highlighter in Whisper, a perfect warm pink with gold highlight. If you make one change this year, choose a natural deodorant. It’s a great place to start. 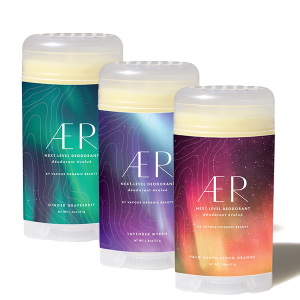 My pick: AER Next Level Deodorant by Vapour Organic Beauty. This gel-to-powder formula is unlike anything else out there. It keeps me smelling great and is never irritating. A trial set is also available and includes all 3 scents: Ginger Grapefruit, Lavender Myrrh and Palo Santo Blood Orange.